A Little Known Collection and a Famous Poet! In our archives we have several personal, archival collections related to the Wylie Family. One particularly unique collection is a box of letters from Elizabeth Bishop, the famous poet and writer, to Louise Bradley. Louise Bradley (1908-1979) was the great-granddaughter of Theophilus and Rebecca Wylie. 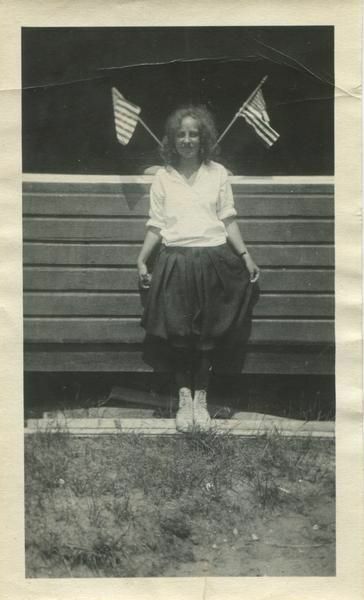 Louise grew up and lived a majority of her life in Arlington, Massachusetts. As she got older she briefly attended Indiana University before transferring to Radcliffe College. 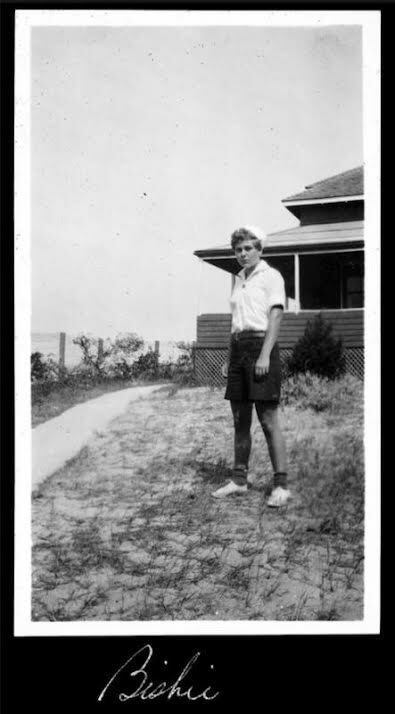 Elizabeth Bishop (1911-1979) was a prominent poet and author of short stories. Her career is marked with many prestigious awards such as the Pulitzer Prize of Poetry and the Neustadt International Prize for Literature. She even served as the Poet Laureate, was a professor at Harvard, and was close friends with famous writers like Marianne Moore and Robert Lowell. For an individual who seems to have had so much success, Elizabeth’s life was plagued with tragedy. At a young age her father died and her mother, suffering from mental illness, was committed to an asylum. With no parents, she was raised by a succession of family members and at one point was molested by her uncle. Throughout the rest of her life she experienced loss, alcoholism, and depression. Elizabeth and Louise first met in the mid 1920’s at a summer camp in Massachusetts. Their friendship would last for many years; the collection’s letters date from 1925, right after the two girls first met, to 1950. This collection shows fascinating insight into the mind of a young Elizabeth Bishop and spans the course of many events including Louise’s time at IU to which Bishop writes, “I know you can’t ever enjoy yourself there, but I hope you don’t mind it so much. (Dec. 5, 1926)” and, “Someday the whole of Indiana U. may blow up. If so you will know that it is only me taking my revenge on it for hurting you (Nov 26, 1926)”. It is clear from Elizabeth’s writing that the two girls grew very close. Often Elizabeth wrote Louise to share poetry and fantasize of a future where they ran away together. “Louise—is it right for a young woman to trail off to the ends of the earth—Norway—India—alone? And live in strange places and do strange things—or two young women. You come with me. When my — — — education is finished. Lets. And then retire to Ireland and raise bees and live by the ocean in a stone cottage and write poetry for a living. Oh!! Will you! I have given up caring what people think about me…(August 29, 1926)”. It is well known that Elizabeth was a lesbian and throughout her young life crushed on the girls close to her. It is not entirely unlikely that Elizabeth viewed Louise in a romantic way. Because there are no letters from Louise, and Elizabeth never explicitly admits any romantic feelings for her, we cannot be certain. This does however raise a question: how can the Wylie House, or museums in general, do a better job of interpreting the histories of LGBTQ figures? It can be difficult as their stories are sometimes not told, but it is a topic we hope to explore more in the near future. In honor of National Poetry Month here is one of Elizabeth’s early poems that she sent to Louise. It was written in March of 1926. To our knowledge this poem, and many of the other poems within this collection, were never published. I am caught in a spell of her brewing. By a witchery the moon leaned to tell her. And the wind is a brother beside me. Until the gray dawn of the morning. Previous Previous post: A photograph from the Wylie House collection is identified!